Braille Bricks is an experimental literacy tool and inclusion project, being used by the Dorina Nowill Foundation for the Blind, designed by creatives at Brazil advertising agency Lew’Lara\TBWA. 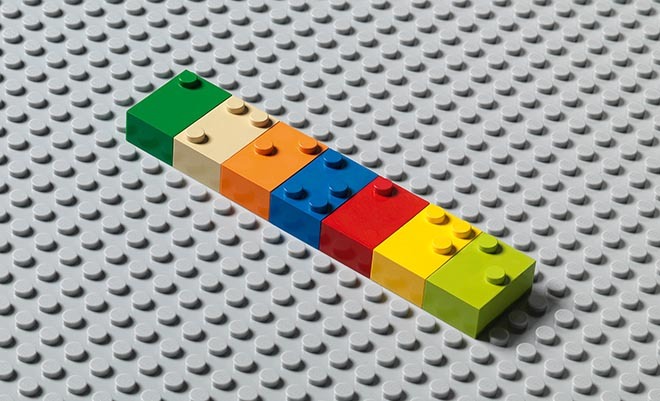 The idea was conceived from an insight upon first observing the braille alphabet, which is similar to plastic building bricksthat following the 3×2 post pattern. From this reference, Leandro Pinheiro and Ulisses Razaboni, the project’s creators, had the challenge of finding original pieces with the brand’s classic colors. The entire initiative, from the idea to the manufacture, took approximately a year. The initiative was made into a mini documentary showing children’s real reactions and invites the public to use the hashtag #BrailleBricksForAll. With the project completed, the agency gave the adapted toy to blind children of ages 7 to 10 years old. 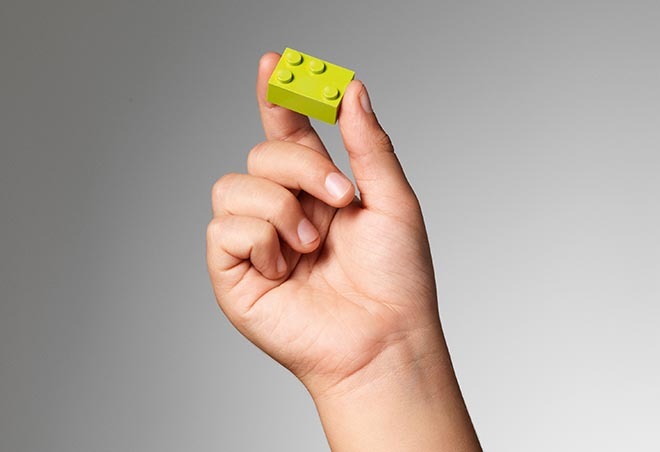 The use of the Braille Bricks was filmed and made into a mini documentary, which shows the real reactions of the children, the functionality of the new resource, and the results produced for the students. To learn more about the project, visit www.braillebricks.com.br. The site includes testimonials and more videos about the project, as well as interactivity for people to create their own message in braille and their avatar. 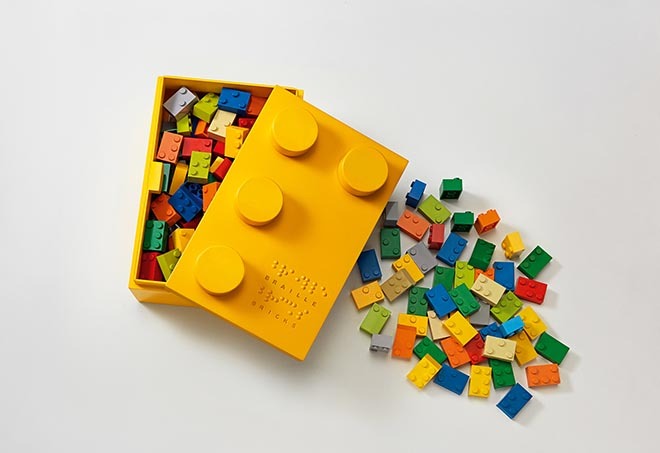 The Braille Bricks campaign was developed at Lew’Lara\TBWA by chief creative officers Felipe Luchi and Manir Fadel, CEO Márcio Oliveira, creatives Leandro Pinheiro and Ulisses Razaboni, online creatives Leandro Pinheiro, Ulisses Razaboni, Felipe Pimentel and Cainã Meneses, account team Ricardo Barros and Fernanda Mariano, planning team Renata d’Avila and Anderson Sales, Luiz Ritton, Eduardo Shinohara, Suellen Kiss, Amanda Moura and Danielle Farhat, social media planner Nancy Sestini, art buyer Ale Sarilho, Sabino, Caio Lobo and Natasha Latronico, piece producer Claudio Rocha, photographer Rodrigo Ribeiro, project manager Monalisa Paduin, agency TV producers Luzia Oliveira, Marcella Pappiani e Angela Felicio, agency producers Marcos Pedra and Alexandro Coelho, working with Dorina Nowill Foundation for the Blind team Eliana Cunha, Daniela Coutelle, and Priscila Saraiva. Filming was shot by director Nixon Freire via Landia with executive producers Carolina Dantas and Sebastian Hall, producer Fabiano Ramos, art director Dartagnan Zavalla, editor Diego Merulla, finisher Henrique Gomes, post producer Rafael Fernandes. Sound was produced at MugShot. Digital production was done at BASE.